You can use AFerry to book ferries to Normandy including St Malo, Cherbourg and Caen from Ireland, England and the Channel Islands. 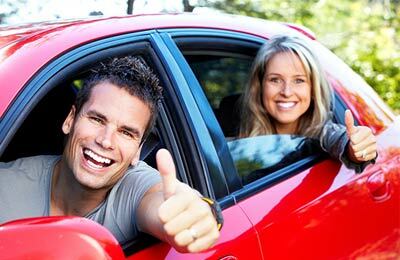 Using AFerry you will always get a great deal on your ferry to Normandy. See below for timetables and the latest special offers. Booking a ferry to or from Normandy couldn't be easier with AFerry. You can either use the booking form at the top of the page. Normandy is famous for being the site of the D-Day landings in 1944, for its rich history and unique culture. For a very useful and detailed guide to the D-Day landings, visit DDayCenter. Normandy is a green and fertile province of France, with many rivers running throught the area, including the river Seine, France's largest river. Mont St. Michel is the UNESCO World Heritage Site-listed island off the coast of Normandy. 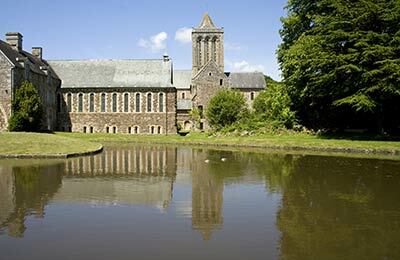 The Abbey of St. Michel is situated on the island and is both exciting and interesting. There are some small shops and restaurants on the island, including La Mere Poulard, which is world-famous for its omelette. As well as its history, Normandy is famed for its food and drink. Local delicacies include moules a la normade (mussels cooked in a sauce of apples and cream), teurgoule (spiced rice pudding) and calvados. 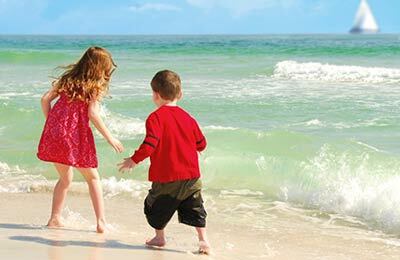 Just across the Channel, Normandy is the perfect destination for a short break or family holiday. With a past fashioned by the sea, Normandy is a land steeped in our common history. Normandy invites you to go back in time to retrace the footsteps of William the Conqueror and to walk along the D-Day Beaches, on the Coast of Heroes. Obviously the normal range of travel options are available: car, bus, train. Driving in Normandy is pretty similar to driving in the rest of France, and the chances of you getting hit by a strike on the trains is equally as high as anywhere else. One thing you might like to know is that there is a coastal footpath that goes around the peninsula from Honfleur right the way along to the Breton coast. Many stretches of this footpath are easily accessible and it makes for a very pleasant walk. Normandy is also the birthplace of Impressionism and is world famous for its cultural vibrancy. Visit Giverny and see Monet's inspirational home and gardens and then wend up the River Seine to Rouen and on to the Channel along the Côte d'Albâtre with the cliffs at Etretat. With its stunning coastline, quaint harbour towns and beaches galore, you are spoilt for choice. 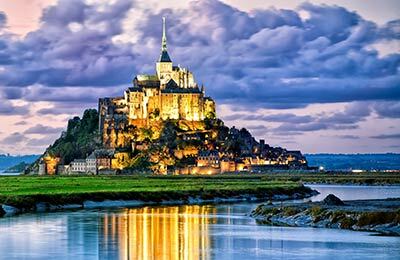 The Mont-Saint-Michel, which dominates the surrounding landscape, remains a must see for all visitors. But for those who prefer the lure of the city, Normandy offers the historic highlights of Caen, the medieval architecture of Rouen, the Vauban harbour of Cherbourg and the Unesco World Heritage site of Le Havre with its post-war architecture. Bayeux, home to the world famous tapestry and magnificent cathedral, is also well worth a visit. Nature lovers can head in land to get away from it all in the idyllic Norman countryside. Cycle along the green ways, drive along the country lanes with the bocage hedgerows or picnic in an apple orchard. You can just stop and marvel at the peace and quiet! Home of camembert and calvados, Normandy is a gourmet's treasure trove. How about taking the time to enjoy a typical menu at a bistro of your choice? Or if you prefer home cooking, why not pay a trip to the nearest local market and feast your eyes on the wonderful choice of fresh produce? Click the logo below to visit Normandy Tourisme for more travel information.